Image by Ray via Pixiv. Every time a new Dota patch comes out, the community’s discussion of IceFrog’s changes will, at some point, involve a heated debate about ‘Power Creep.’ It’s a well-known issue in almost every game genre that undergoes patches and iterations, including the Pokemon TCG or any other MOBA. Power creep is a term used to describe a phenomenon where developers introduce new game elements—cards, Heroes, abilities, utility items, or in some cases, even mechanics—that create profound imbalances in the metagame. When power creep happens, more recently introduced elements end up being almost always superior to items that that have been around for longer. Out of the pool of items that have similar effects or play a similar role in shaping the outcome of the game, there will usually be a single option that’s obviously the most optimal choice, often on an objective, stats-based level. In other words, if you thought your Shadowless Charizard was super OP in 1999, his puny 120 HP doesn’t hold a candle to Mega Charizard EX’s whopping 230. Old and new cards can’t reasonably co-exist in the same decks, which is why older TCG releases are slowly removed from active duty. If you’re familiar with Magic: the Gathering, Wizards of the Coast has a “Standard” card pool. Every year, four new sets of cards are added to Standard, and the oldest four sets are given the boot. That’s the circle of life in most TCGs. Rotating card pools, especially ones that give preference to newer items, aren’t put in place just to keep the game ‘fresh.’ Part of the reason that cards are given a somewhat unceremonious farewell in the form of a mandatory relocation to the Wonderful Card Playground In The Sky is because older cards just can’t keep up with the recent additions. Much like aging esports pros, the new kids on the block are faster, flashier, and downright better than the old ones. And this, readers, is what power creep looks like. Is Power Creep an Issue in Dota 2? It shouldn’t come as any surprise that MOBAs are at a higher risk than almost any other genre of video game when it comes to the likelihood of running into serious power creep problems at some point during development. The sheer number of interactions that have to be taken into consideration when making even the smallest change would be enough to overwhelm even the most dedicated team of Valve employees. Each time a new hero or item is being designed, the development team—presumably operating under the guidance of IceFrog—will go about their business with a certain goal or function in mind for their new creation. 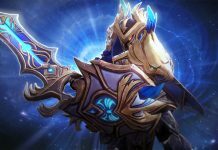 Granted, new heroes don’t appear that frequently in Dota, but each patch also requires the same amount of precision. IceFrog is, lest we forget, mortal. Gabe Newell is not omniscient. The team might be able to theorycraft about the effects of a particular nerf or buff, but part of what makes game balance such a challenge for developers—and so impressive when it’s done right—is the fact that you never know what players are going to do with the tools you give them. For these reasons, it’s understandable that Valve’s team often waits until big events, like the Kiev Major, are over to release a large patch. They need a large dataset from professional games to guide their balancing decisions. Power Creep: Anything New Can Do, Old Can Do Better? Valve’s track record has made it clear that Gabe and friends love making heroes overpowered on release. This is, our staff often speculates, a calculated choice to try and entice players out of their comfort zone to try out the new hero. In most cases, this new hero will get nerfed a bit or reworked in subsequent patches. 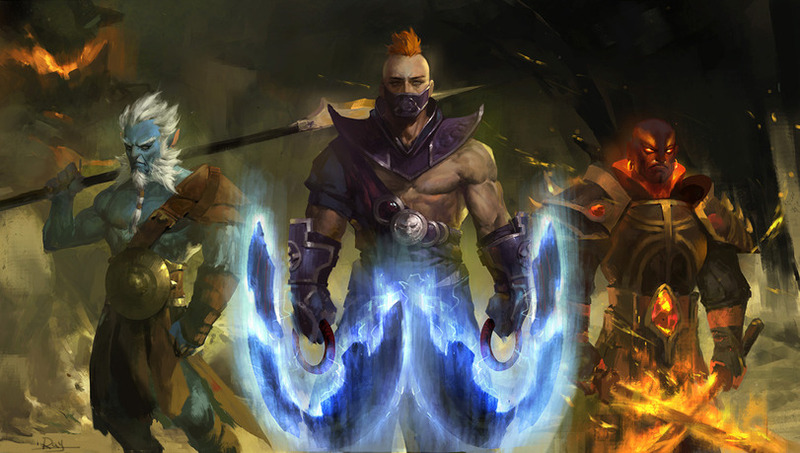 When it comes to Dota’s colorful cast of playable avatars, the diversity of hero design is a perhaps intentional safeguard against power creep. Due to how unique the heroes are, you simply can’t find characters that do everything as well as their peers. While some heroes might be interchangeable in certain team compositions, they’re not ever clones of each other in the way that some Hearthstone Cards are. Of course, Dota has been able to enjoy the luxury of time for balancing new parts of the game — when there’s no need to roll out a new hero every month, it’s much more reasonable (and useful) to try and alter the game balance by focusing on tweaks to existing mechanics. Now, I do need to make one thing clear before moving on. Temporary OP-ness, like what we almost expect to see from heroes like Monkey King on release, isn’t the same thing as power creep. If all the newly added heroes were overpowered and stayed broken, then we’d have a power creep issue. In general, if a hero is getting too big for its britches, IceFrog hits them with the nerf football hammer the next patch. Monkey King enjoyed an acceptable 40% winrate during 7.05, but got nerfed hard in 7.06 and accordingly his winrate is already dropping. IceFrog, in his infinite wisdom, clearly keep tabs on hero pick/win-rates at both the pro and pub level, and uses this data to inform the development of subsequent patches. I don’t play League, but I’ve heard friends complain that only a handful of champions are viable at any given time—in almost every meta, you’ll quickly notice that there are a couple champs which are overpowered to the point that you’re setting yourself up for failure by choosing to play anything else. If the other champions are buffed to compete with the OP ones, the game will experience some power creep that will require the ‘neutrals’ to be upgraded as well. Each hero has their day in the sun, even Kunkka. Leshrac was basically never picked for the entire first year I watched Dota, and then was the guy at TI5. And now he’s back to relative obscurity again last time I checked. Overall, a bit of power creep is probably inevitable. I’d imagine it’s easier to slightly buff heroes across the board than take away specific things, but Icefrog does a great job of keeping everything in check. As long as hero power doesn’t outstrip buildings, creeps, and neutrals, the game remains relatively free of power creep. Previous articleDiversity in Dota 2: Why Aren’t There More Female Casters? Dota 2: What Happened to Wings Gaming?